Like that old 60’s sitcom, 2 city slickers decided to live their dream and move to the country. After selling 2 homes and combining their lives to make this change it was important to have a space that met their new lifestyle needs as well as representing them as a couple in the design. 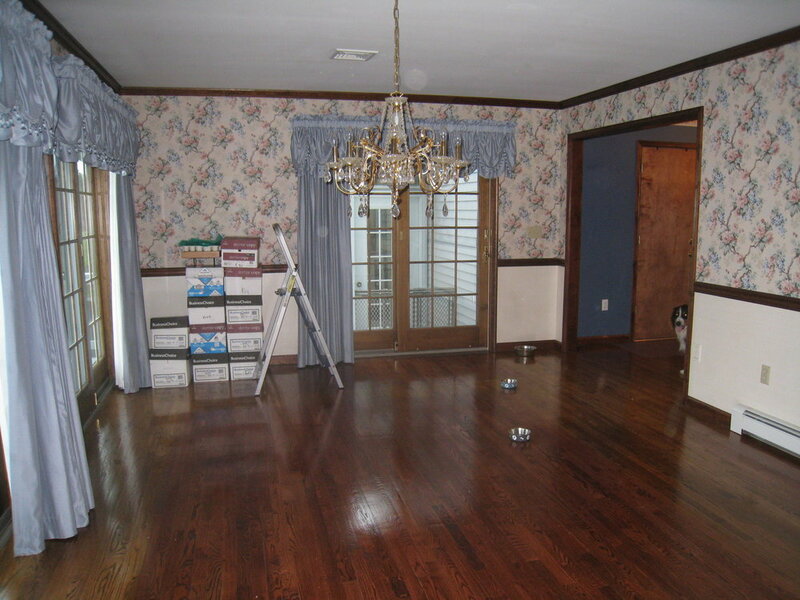 Although the floor plan and location were perfect, the previous owners’ style was not at all like theirs. Rooms filled with floral wallpaper, heavy drapery, and formal furnishings had to be replaced with a style compatible with their more laid back and casual personalities. 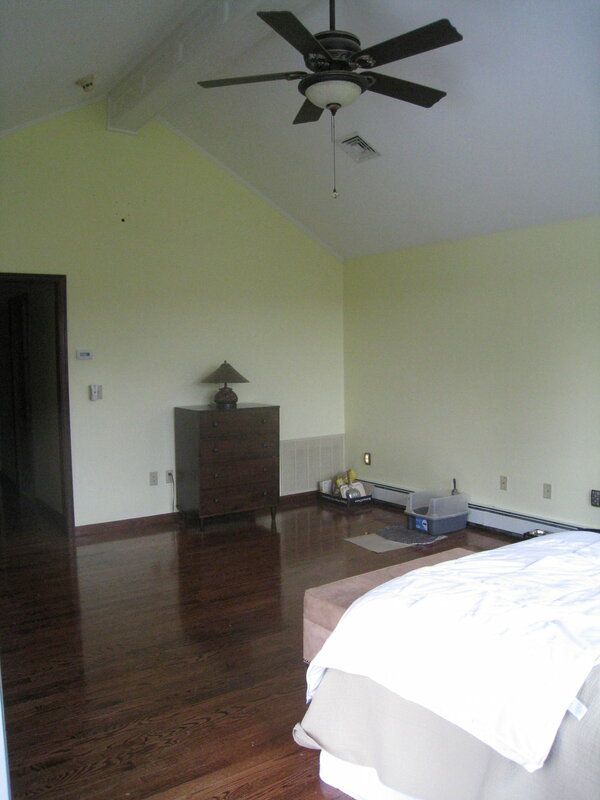 By removing the wall paper and replacing carpeting in the Living Room with a natural multicolored slate floor the natural wood on the ceiling, doors and trim look more appropriate. Removing the heavy drapery and replacing them with natural textured linen panels hung on a track rod allows light and the fabulous view of the mountain ridge in during the day but gives privacy and bounces back light into the space at night. A large sectional sofa in a teal blue allows comfortable viewing of the fireplace as well as the TV and provides plenty of comfortable seating. A large arc floor lamp overhangs the sofa making a cozy reading area. The floor is softened by an area rug and large tapestries help to fill the wall with interest and color. 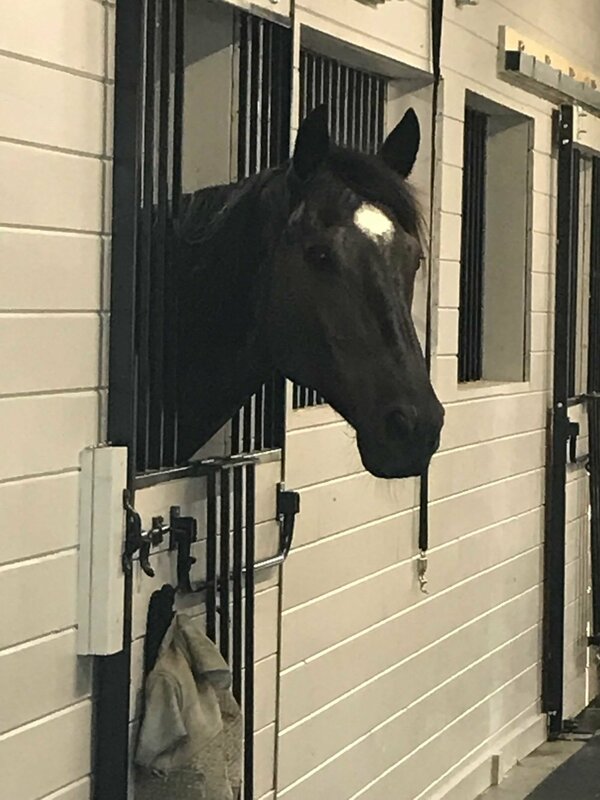 I was fortunate to have a client who is an artist so utilizing her paintings for the artwork expresses both their love for horses and personalizes this wonderful home. A favorite piece of metal art hangs over the fireplace with lighting installed to properly accent it. Taking my cue from the warm brick of the floor to ceiling fireplace we chose a rich terra cotta color(Sherwin Williams 6348-Reynard) to begin at the far wall of windows and extend into the Dining Room. The Dining Room uses a large rectangular trestle styled table with comfortable leather dining chairs to anchor the space. The Murano Glass linear chandelier and sconces add sparkle as well as light. The buffet server and bar are inset with warm colored slate pieces paying homage to the Living Room flooring. I continued the same color scheme into the kitchen in a lighter value. The original white appliances were replaced with new stainless models and the original white solid surface counters were replaced with beautiful granite which throws colors of terra cotta and teal blue along with the more neutral tones. By replacing the recessed lights over the island with hanging pendants in the teal blue we brought those tones out in our stone. Working with our supplier, H&S Stone of Toms River, N.J., we were able to plan the layout and bring the larger chunky area to be placed on the center island to add interest. 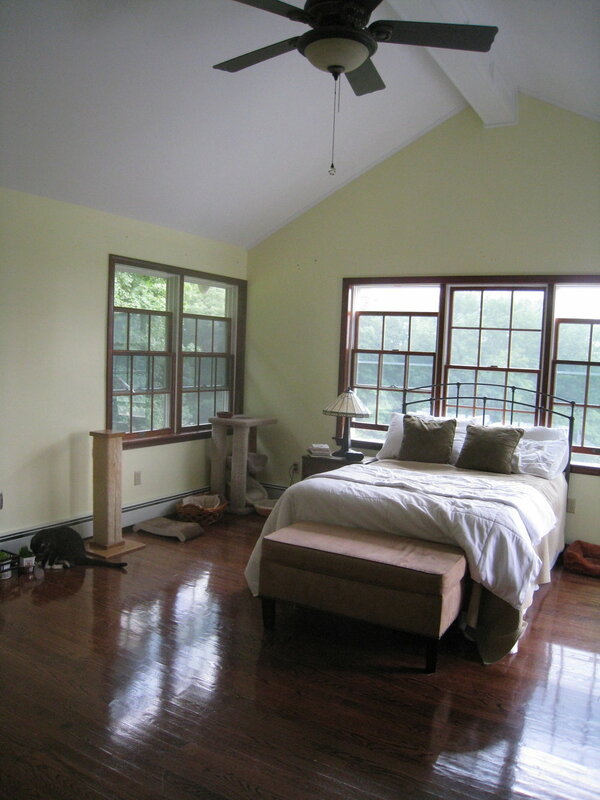 The original sunny yellow paint and swag and jabot window treatments in the Master Bedroom were replaced by an anything but boring taupe for a neutral back drop. By choosing a beautiful center medallion rug first we were able to pull our color palette directly from it. Furniture with a rustic feel juxtaposed with rich and sumptuous fabrics brings a warm opulence to the room. Keeping window treatments simple and to a minimum allows the beautiful view to be seen during the day. Shades on the side windows and the center draw traverse rod for the drapes bring warmth, light control and privacy at night. With their beautiful new home that reflects their new lifestyle these former city slickers are now country fine! I saw it in the window and I had to have it....taken down!